The 2019 Formula 1 season continues with the Chinese Grand Prix in Shanghai from Friday, 12 to Sunday, 14 April. BBC Sport has live coverage of practice, qualifying and the race across the BBC Sport website, BBC Radio 5 Live and 5 Live Sports Extra, plus live digital coverage on the BBC Sport website and app - including audience interaction, expert analysis, debate, voting, features, interviews and audio content. All times are BST. Broadcast times are subject to change at short notice. 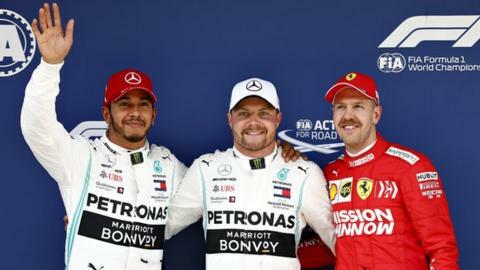 You can follow all the action and the latest news on the BBC Sport F1 page and via the BBC Sport app, and catch up with analysis and interviews with the BBC Radio 5 Live Chequered Flag podcast.